Position wood wedges on bench for setting cylinder head (Figure 2, Item 11). Figure 3. Cylinder Head Gasket Removal. Remove eight side bolts (Figure 2, Item 2) and washers (Figure 2, Item 3), and discard if necessary. (Figure 2, Item 8) and nuts (Figure 2, Item 9). Attach lifting sling to lifting fixture (Figure 2, Item 10) and make taut. Remove two corner bolts (Figure 2, Item 1) and washers (Figure 2, Item 4), and discard if necessary. 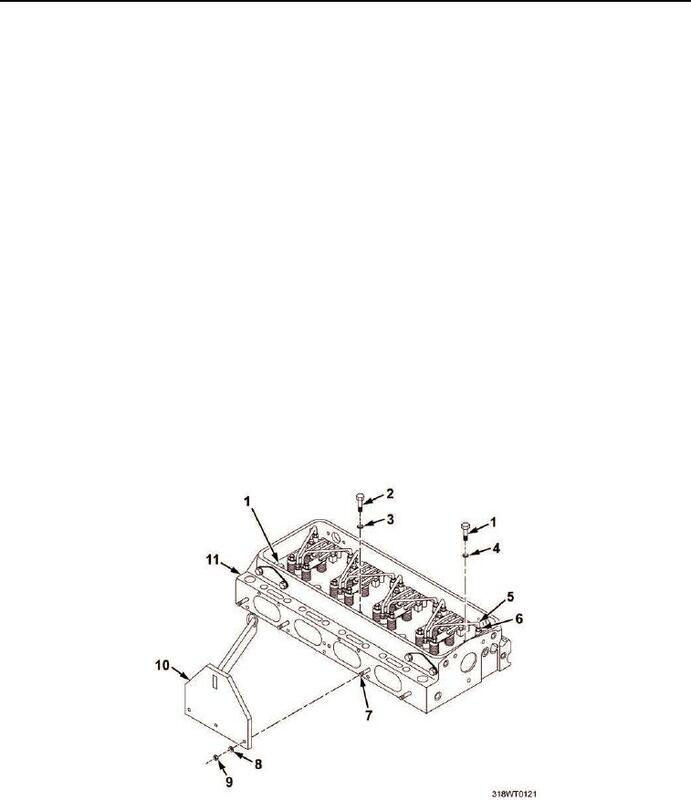 Lift and remove cylinder head (Figure 2, Item 11). cam followers. Failure to comply may result in damage to equipment. Carefully position valve side of cylinder head (Figure 2, Item 11) on bench on wood blocks. Remove lifting fixture (Figure 2, Item 10) from cylinder head (Figure 2, Item 11). Figure 2. Cylinder Head Fuel Line Removal.